With the release of Raging Rex, Play’n GO is inviting players to experience the best of the Jurassic Age. In fact, this January 2019 release offers an excellent max win which could see lucky players pocket up to £500,000. Plus, this new game also has various bonuses which will keep you on the edge of your seat and entertain you. With its higher than average volatility, this slot will sure appeal to players who prefer larger win as opposed to smaller ones. Raging Rex is the first game by Play’n Go which offers 4096 ways to win to our knowledge. Plus, it’s also the only dinosaur theme game by the award-winning provider. And they sure spared no expenses to bring their vision to life! So let’s take this journey through time together and discover this game and its bonuses! Bonuses & features: Walking Stacked Symbols, Free Spins, extra Wilds, Multipliers, and Re-Spins. Highest-paying symbol: 5 Velociraptor symbols on an active payline reward you with 7.5x your stake. When you play Raging Rex Video Slot, it’s very likely that the first feature you’ll trigger is the Stacked Walking T-Rex. In fact, whenever a T-Rex appear on the reels, you’ll always get a Re-Spins as the symbol move from right to left and exit the game interface. Or the Raging Spins can give you up to 20 Free rounds at once. And of course, you can re-trigger an unlimited number of rounds in this bonus. To sum up, you’ll trigger the feature when 3, 4, 5, 6 comet symbols appear on the reels. And you’ll play 5, 8, 12, 15 or 20 rounds respectively. Also, it’s worth knowing that after triggering the feature you’ll only need 2 comet symbols to land in view to win more Free rounds. A great thing about the Raging Spins is that you’ll have the chance to play 2 different modes. In fact, after hitting the right symbol combination, you’ll either have the choice to play the Wild Hunt Free Spins or the Primal Rage Free Spins. Each mode comes with its own features including wilds multipliers or moving stacked T-Rex. Raging Rex sure is a dino-mite slot! In fact, not only does this game have multiple bonus features that all players will adore. But this game also has many surprises in store for everyone who’ll dare to try it! As you’ve read above this game is quite flexible since it has two different Free Spins mode. So if you’re a calculated player, then you can try both bonuses and see which ones bring you the biggest win. This video slot is will appeal to the more experienced players who love diverse gameplay. 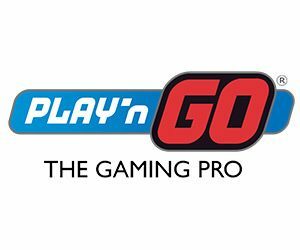 As for most Play’n Go slot, this one too is available on all devices! So, visit your favourite casino here at the casinoportal UK and give it a spin!